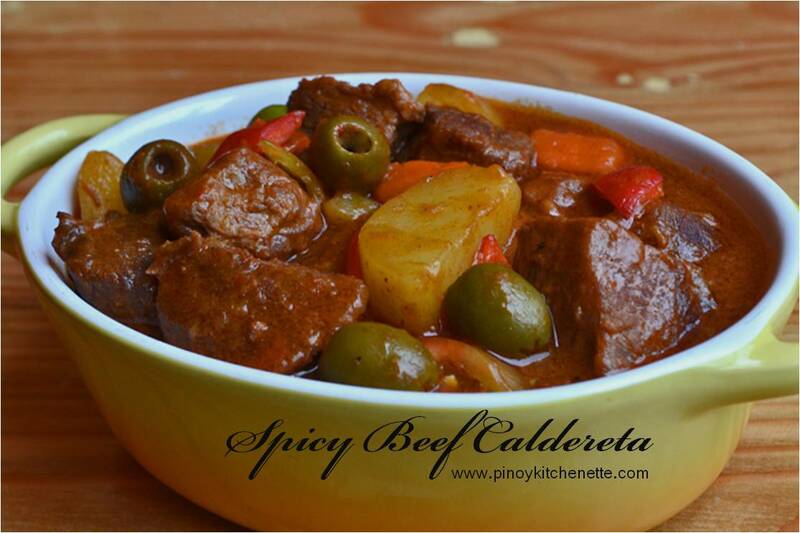 Pork Menudo is another Filipino favorite. 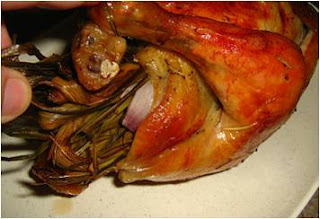 During fiestas and other home occasions, this is often part of the feast in the table. 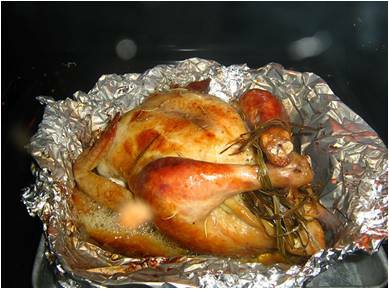 Each families or regions would pride their own way of cooking this.Some would include pork liver, sausage (instead of hotdog) chick peas or green peas. But basically there's pork, potato and tomato sauce. Heat oil in pan. Saute onions and garlic. Add the meat. Stir fry and cook until meat turns light brown. Add liver spread, then tomato sauce. Cover and simmer for 3 minutes. Add meat broth, potatoes, carrots, raisins and bell pepper. Season with salt and ground pepper. Add oregano. This is a very simple budget-light meal. But since it's loaded with chilis, I bet you'd want some rice with it. But if you're not so fond of chilis, you may lessen it. 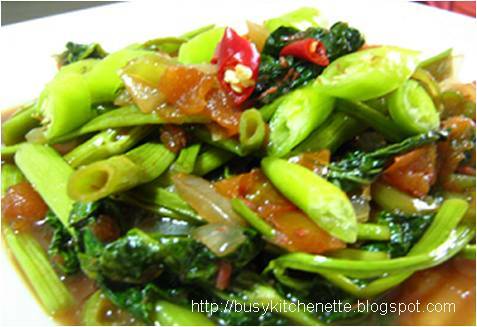 I stir-fried the vegetables with sesame oil, which adds a nice flavor and aroma. Cut and wash kangkong leaves. Then put in a bowl of cold water. In a skillet, heat olive oil. Sauté onions, garlic and tomatoes. Add the bagoong, siling haba and 2 tbsp water. Cook for 2 minutes. Add kangkong to the sauteed mix. Stir. Cover and simmer for 3 minutes. Garnish with red siling labuyo, if preferred. Hello fellow foodie bloggers.... Im doing some changes in my site. And oh, im also doing some lay-out experiments,hope you like my new header. 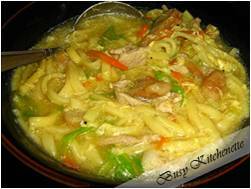 Lomi is another chinese-filipino noodle dish, and is best served hot. I like eating this with soysauce, calamansi and crushed red chili peppers as condiment. 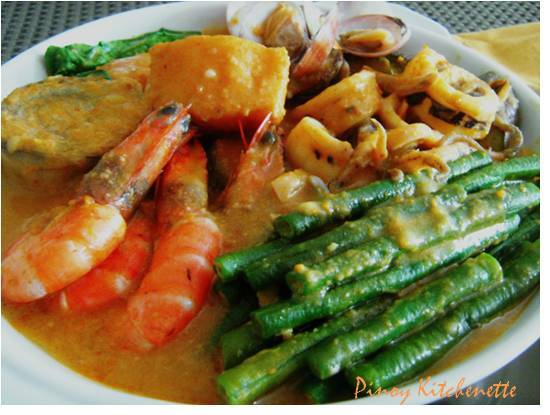 If you happen to pass by Batangas area, you definitely wouldn't miss restaurants or lomi house which serves this. Heat oil in a pot, stir fry the kikiam until golden brown.Set aside. 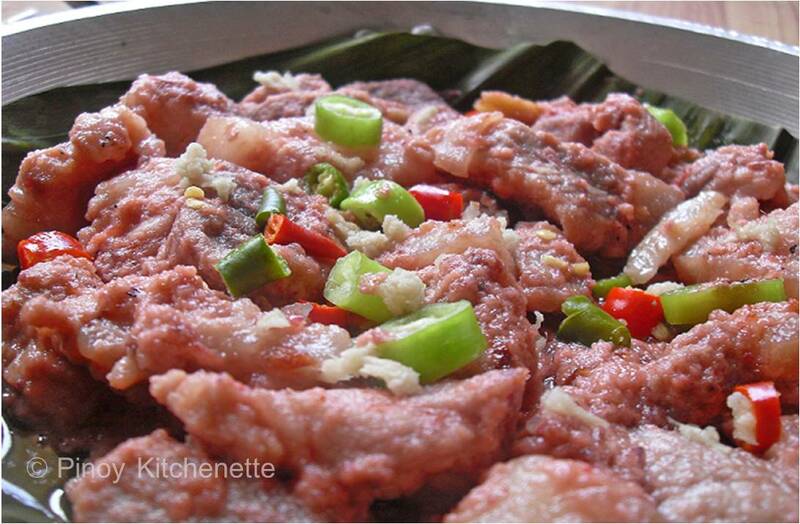 In the same pan, saute onions and garlic, add meat, season with a little salt or fish sauce. Let simmer for about 2 minutes. Then add the meat broth. Cover and let boil for 8-10 minutes. Add noodles, vegetables and kikiam. 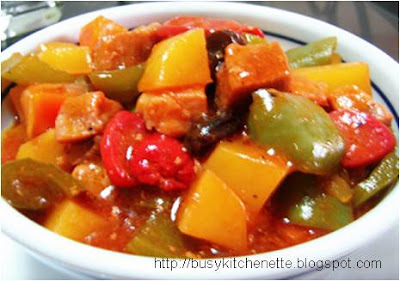 Simmer and cook for 3-5 minutes. Thicken the soup with the dissolved cornstarch. then turn off the heat. Slowly stir in the beaten eggs. Note: You may also use shrimps or meatballs, depending on your preference. I was having a second thought if I will roast it or bake it. I decided to bake it. 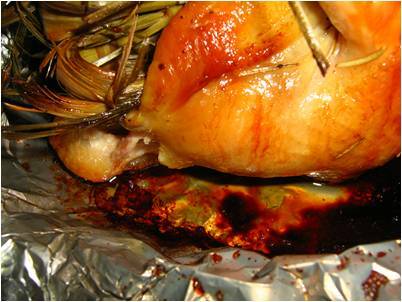 This is the first time I tried to bake a whole chicken, and had a truly tender-cooked juicy chicken meat. 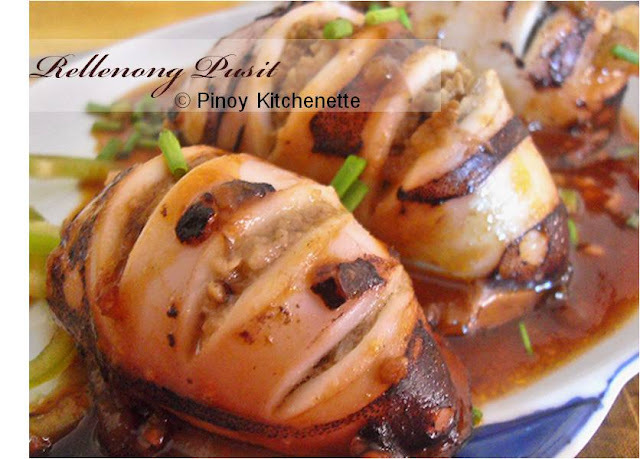 And the taste was perfect!You really cant go wrong with lemongrass, really nice flavor! Baking the chicken made the meat really tender, and at the same time achieving a roast-like crisp chicken. Clean the chicken. Make sure to remove the small feathers in the skin. Remove the insides. Wash the chicken and pat dry. In a bowl, mix the zesty garlic, 1/8 tsp ground peppercorn and salt. Pour over the chicken and inside the cavity. 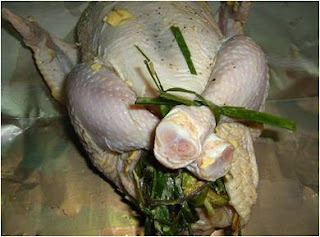 Let the chicken absorb the flavor. Marinate at least 30 minutes. But if you have the luxury of time, marinate overnight in the fridge. Rub the chicken with the calamansi juice. 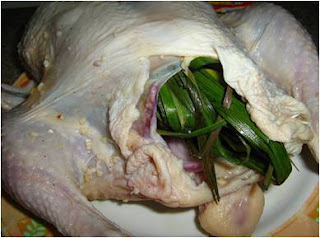 Stuff the lemongrass and chopped onions inside the chicken through its cavity. 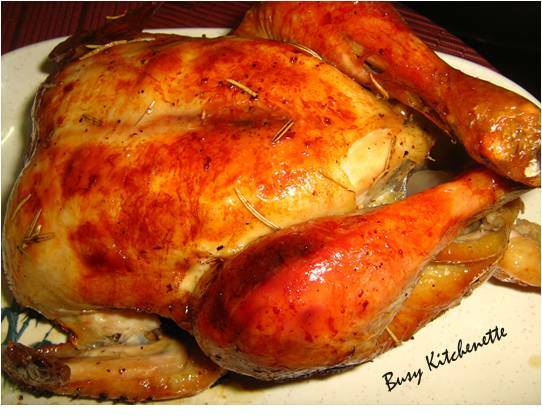 Rub the chicken with butter. Then sprinkle the rest of the ground peppercorn and the rosemary. Secure the legs of the chicken with a string or lemongrass leaf. Wrap the chicken in foil, in doing this, we are sure all the flavors will be absorb by the chicken. Then place into a baking dish. for another dish as added flavor. Bake for another 1 hour. 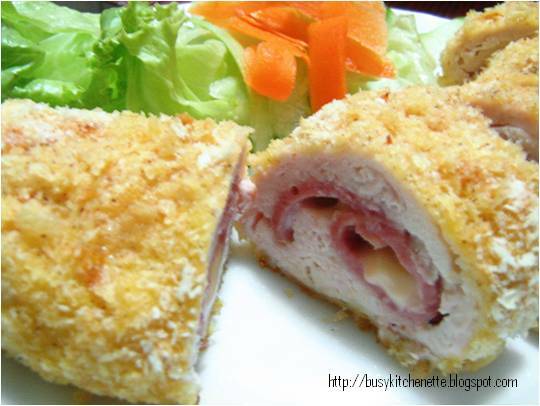 We want to have that tender crisp and nice golden brown color of the chicken. When done, let stand for about 5-10 minutes before serving. Enjoy! It's father's day so i can't help but remember my Dad and the delicious sumptuous meal he prepared when he was still alive. Yes, he's man of the kitchen. 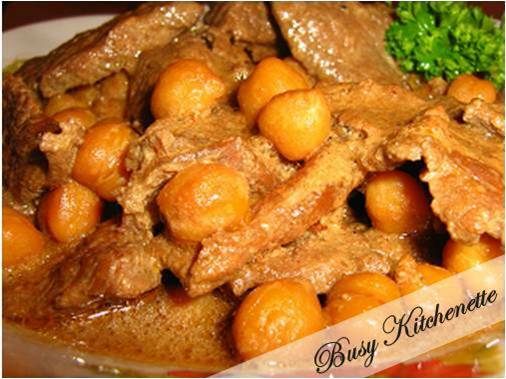 One of the dishes I like best was the one of the beef stewed in milk. I don't know what it's called, I have never asked him, or maybe I did but I don't remember since I was still young then. I don't know the exact ingredients either, but I remember the taste. So, with the best that I can, I tried cooking it, it was good ~ but still something was missing. I'd like to do this again some other time, and experiment on some ingredient. Or maybe, I can never replicate it because it was specially his and he has some sort of a magic ingredient? But nevertheless, I'd like to share it with you and I am naming it Beef Stewed in Milk ala Marco (t'was his name~ Marco). Marinate the beef with the soy sauce, calamansi juice and garlic at least an hour, but best if you can marinate it over night in the fridge. In a pan, heat olive oil, then add the marinated beef and the sauce as well. Add the water, beef cube and chick peas. Season with ground pepper and salt as needed. Cover and simmer for 20 minutes over low heat. Add the milk. Adjust the taste, add salt as needed. Cover and simmer again for another 15-20 minutes or until the sauce is reduced into desired thickness. And it's done! Transfer in a serving plate. That's how easy it is. Just remember to buy the best and tender cut of beef so cooking would be easy! Summer is officially over! The heavy rains outside makes me want to stay and curl in bed all day. Sooooo lazy! Done with books. No new movie to watch. Nobody to chat with in FB. What's left to do????? ?? Food! ---- something to warm this chilly mood. 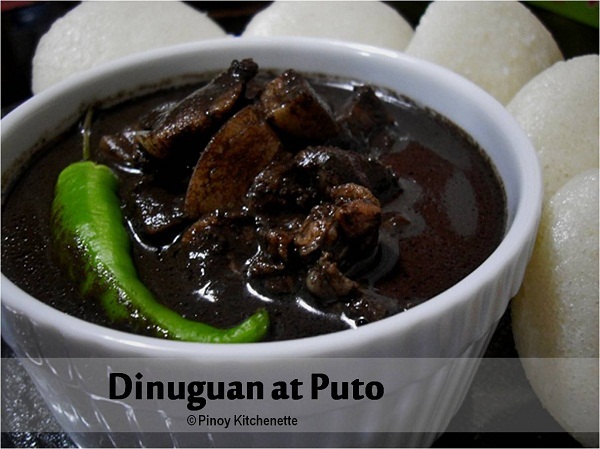 Masarap humigop ng mainit na sabaw! 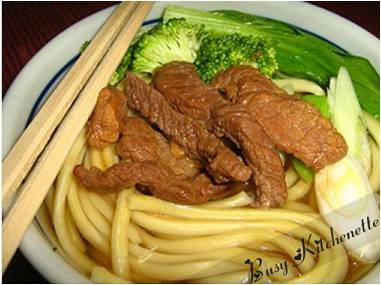 In a bowl, marinate the beef with soy sauce, oyster sauce, hot sauce and garlic. Marinate for about 15 minutes. In a pot, cook the egg noodles in boiling water. Follow package instructions. Drain.Set aside. Heat the beef broth in a separate pot. Add onion leeks(set aside a few pieces for garnishing later). Let boil. This makes about 4 to 6 servings. Enjoy! Tired of the usual fried chicken? Spice it up! Try this one. For the chicken: Cut and discard the tips of the chicken wings. Cut through the joints of the wings to make 12 pcs. Marinate the chicken with paprika,garlic powder,salt and vinegar. 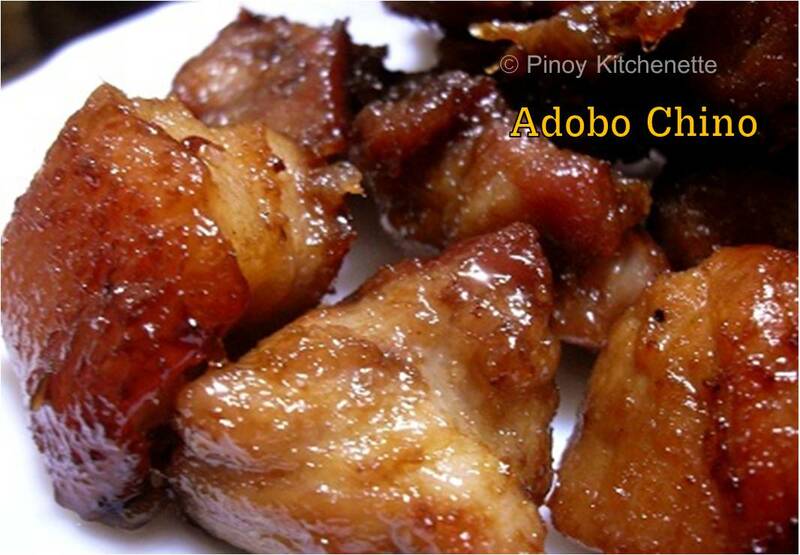 Marinate for at least 30 minutes. Then coat with flour, deep-fry. Set aside. For the sweet chili sauce: In a pan, mix together all the ingredients. Bring to boil to thicken the sauce over low heat. 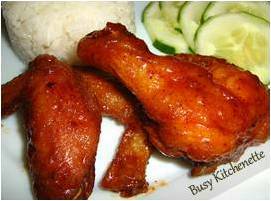 Then toss in the fried chicken wings, mix to coat evenly with the sauce,and for the chicken to absorb the flavor. Transfer in a serving plate. Makes 3 servings. Enjoy!